Lively Pub Featuring Seafood Fresh from Tokyo's Tsukiji Market. 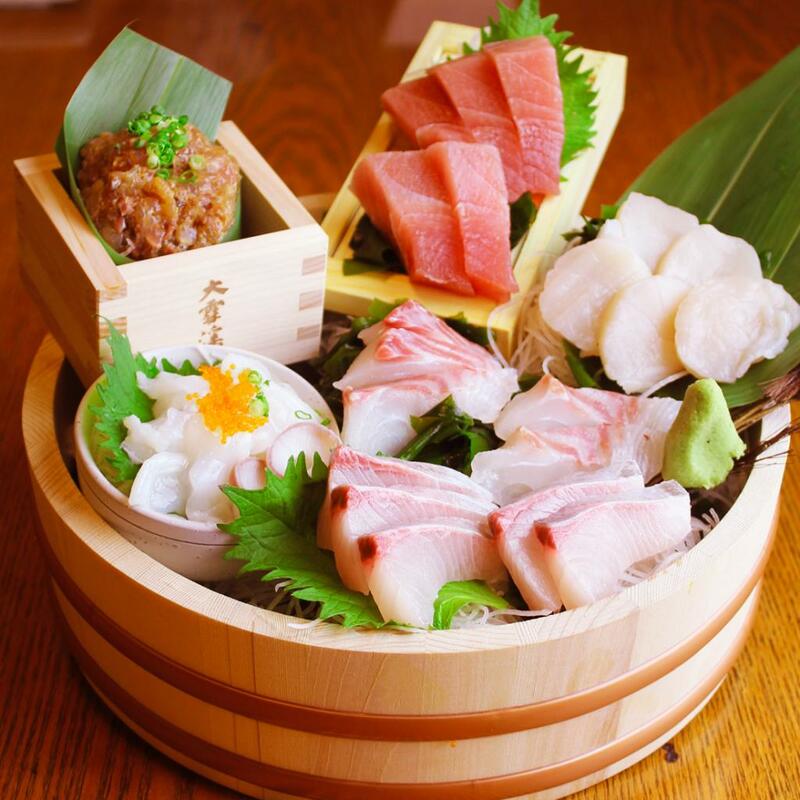 With daily shipments of fresh seafood straight from Tokyo's Tsukiji Fish Market, great selection of fish and shellfish dishes made using locally sourced ingredients, all served at reasonable prices. 90-Minute All-You-Can-Drink (980 yen) deal and storefront open to the street adds to the lively atmosphere where visitors can mingle with the locals. From Matsumoto IC, 15 min via Route 158.